This week’s ornament goes back to my childhood. 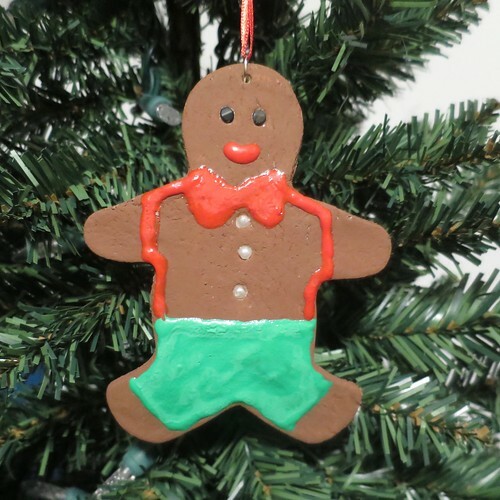 We always had faux gingerbread men on our tree. I wanted to try making some of my own and wanted them to look like they were actually decorated with icing and candies. I thought and thought about what would look like actual icing and it hit me, puff paint! The packaging says it is made to use on fabric, but it worked really well on the dough. I bought a set of small bottles in various colors. The bottles have a small tip which you can use for drawing (though I wished it was slightly smaller). I went with the shiny puff paint and like how it catches the light. I used beads as candy for eyes and buttons. Since I was experimenting, I just grabbed a few things from my stash that were both plastic and glass. I wasn’t sure how they would hold up during baking, but both plastic and glass were fine. 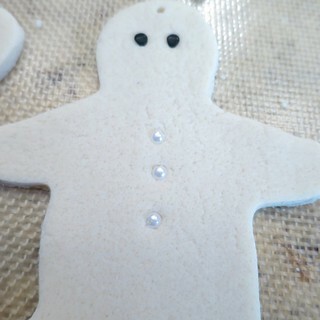 The plastic pearls got a little flattened on top when they were facing down on the baking sheet, but not drastically. Probably, the fact these are cooked at such a low temperature helped. 1. 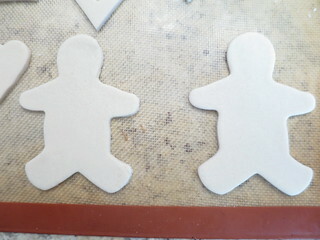 Roll out the dough or clay and cut out the gingerbread man shapes. Make a hole at the top of the head for hanging. If you want to add bead to look like candy, push them into the dough where you want them. Bake according to the directions. I like to flip mine every now and then during baking to get them as flat as possible, though they still came out a little arched. Let cool. 2. 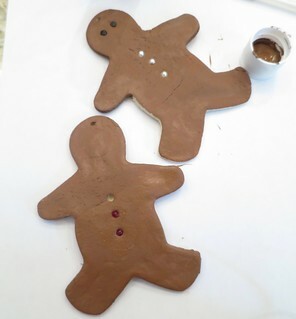 Paint the ornaments gingerbread brown on all sides and edges. 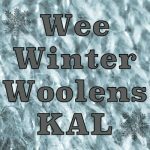 Work carefully around the beads if you have used them. (You can see one of my beads popped out, but you can just glue it back in. You may need to do more than one coat to get the color you want. It is best to do two thinner coats than one thick one because if it is too thick it may crack. Let dry. 3. 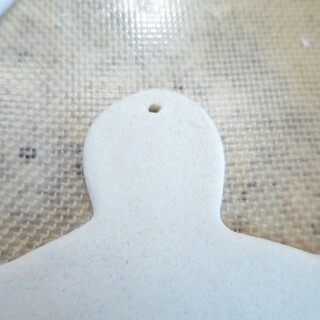 I have heard that salt dough can start to mold so you may want to seal with a polyurethane or varnish. 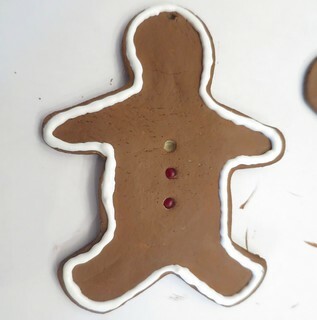 A matte finish will look more like real gingerbread. Let dry. 4. 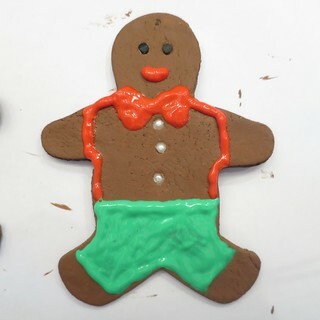 Use the puff paint to draw on clothing and details like you would icing. Make sure to shake the paint really well otherwise it can be a little runny or separated. You could just go with white and do outlines. Or use colors to create clothing. For the shorts, I did the outline first and them filled them in. I didn’t stress out about the painting being very neat and exact, since this was probably as good as I’d do with real icing too. My puff paint said it takes four hours to dry. I let it dry overnight to be sure because it is so thick. 5. Put a jump ring through the hole in the top for hanging. 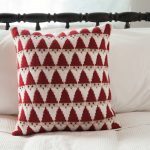 Did you hyperlink the salt dough recipe in this post, I tried to access it but couldn’t. 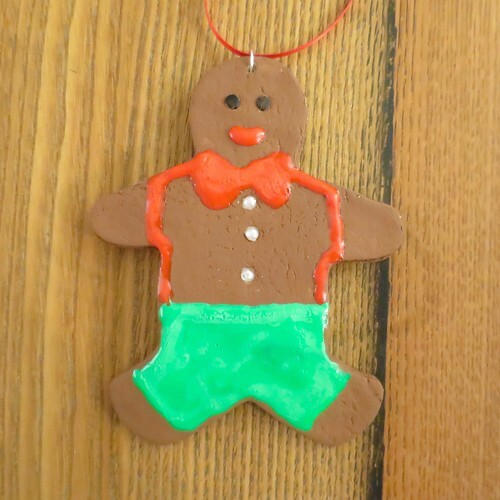 As I said previously, I really want to try this year and do some salt dough toppers. Oh, good catch. It is fixed now. Can’t wait to see what you make. If they come out a bit arched, you can press them flat while they are cooling. Put a sheet of greaseproof paper or something over the tray and then some heavy books on top.